How to Convert pdf to word Online Free. PDF and Microsoft Office .docx file has become on of the most popular files format for PC and other computer devices. There are several other formats also that are used by many peoples. Sometimes you want to create any PDf file without installing an software or app on your mobile device. It is not easy to edit any pdf file for an average pc user at this situation you will think that the files should be in DOc file format because it is very is to use. So, what is the solution of all of the above problem. 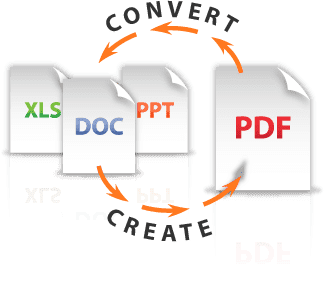 There is a simple solution i.e you should convert the pdf files to a doc file format. A internet website named as PDFConverter will help you to convert your files from pdf to Word, Excel and PowerPoint. It's a quick-solution tool, very handy for anyone in a hurry. You can also create an PDF file also onle. Just you have to type what you want and download it in the form of PDF file. This is secure service the download link will be sent to your E-Mail ID only nowhere else. So any on can not download by going back to the site from your browser's history. How To Use convert PDFConverter. The user interface of this site is very simple and any one can convert files using this site. Go to this Link and choose the format in which you want to convert your files. After selecting file format. The site will send you on the other page. Where You have to upload your file and fill your E-mail id. And after this click on Start button. 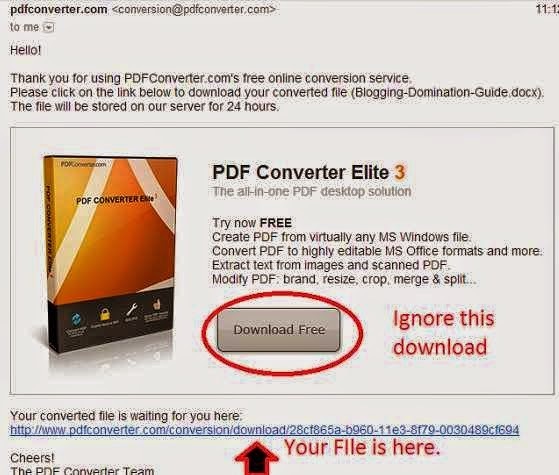 I am converting pdf to DOc file in the same way you can do it for any other file. After doing the above step you will be able to see a box with a message that you conversion has been completed and the download link will sent to your email id in a few minutes. Now the last step is. Go to your email and download the file. It will look like something this. Superb Article lot of helped to converting pdf to word Thank so much For sharing very useful Article. Nice explanation bro.. keep it up.